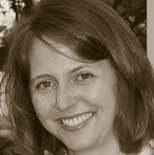 Sarah Sorensen is the principal of Sorensen Consulting, a sustainability and strategic communications consultancy. She spent eight years at Juniper Networks in a variety of product and corporate marketing roles. During her tenure, she created and managed the Corporate Citizenship and Sustainability strategy and was a founding member of the company's Green Taskforce, which is responsible for driving energy efficiency initiatives within the engineering and product teams. She also managed Juniper's business announcements, crisis communications and public sector outreach, and spent half a decade marketing the company's security technologies. A graduate of UCLA (1996), where she majored in English and was a member of UCLA's Division 1 women's soccer team, she has focused her efforts in branding, marketing, communications, and public relations for both start-ups and Fortune 500 companies. She has developed and written dozens of white papers, byline articles, and presentations on and about the networking and security industries. "If you have to buy one information technology book this year, then let this be the one. With a wide and versatile appeal, The Sustainable Network can be enjoyed by one and all." "I dont do a lot of book reviews, but I did want to shine the light on a Sarah Sorensens insightful The Sustainable Network: The Accidental Answer for a Troubled Planet...Some of her ideas are real eye-openers whether you are a seasoned computer geek or not. " "...The Sustainable Network is a 'must' for any library strong in social issues and technology." "Its a given these days that computer literacy is no longer just beneficial, its essential. Perhaps we should think of the global network in the same way. In this sense (whether or not you share Sorensons vision), The Sustainable Network is a solid read as a primer. Youll walk away knowing a lot more about what were talking about when we talk about the network." "Companies with a stake in the technology industry or that have staked on the Internet (ala Google or Amazon or any of the thousands of small e-commerce companies around the world) are likely to pluck multiple nuggets of wisdom from her book." "Overall, Sorensen offers the reader some convincing ideas as to how the network's worldwide reach can empower previously marginalized groups, further democracy, and even tackle climate change. In these economic times, the notion that we can cause change with tools we already possess is appealing."